Over the last decade, consumer behavior has shifted. 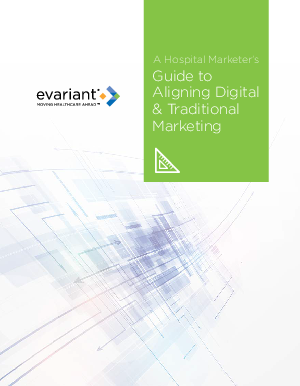 Even though traditional marketing tactics still work, hospital marketers must develop a multi-channel approach to reach patients. Compared to traditional media, digital channels like social media and email are inexpensive to execute and are often used to preempt direct mail. By combining the digital offering with a well-designed direct mail piece, marketers can stand out and increase the overall response rate. A combined multichannel strategy overcomes the typically siloed approach in traditional vs. digital marketing and will attract more patients.